One summer. 15 weeks. 33 wineries. It is hard to believe that what began as a lofty goal for the days following my college graduation is now an actuality. Heather and I finished the NJ wine trail this past Saturday at Four JGs Orchards and Vineyards in Colts Neck. We tasted more varieties of wine than you can possibly imagine – Chambourcins, Merlots, Cabernet Francs, Pinot Grigios, fruit wines, blushes, roses. You name it, we tried it. We drove for a seemingly endless number of hours and miles across NJ, through towns we had never heard of and parts of the state we had never seen, despite living in New Jersey our entire lives. 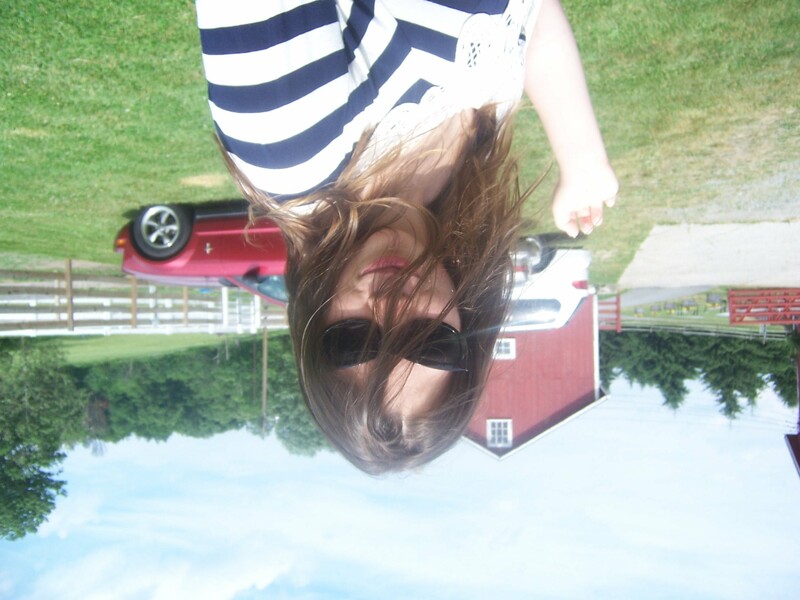 We got lost, turned around, and even ended up in Pennsylvania once or twice. We randomly ended up at state parks and the Jersey Shore, getting a sense of the most gorgeous parts of a state that is frequently passed off as dirty (thanks for that one MTV). All in all, it was a great way to spend a summer – our last real summer before things like having a career will become a reality. I have learned several great tips and facts about wine production in the Garden State. 1. Everyone disses NJ wines… until they try them. This scenario has also played out in my house when I gave some wine to my wine snob parents. (Remember they LOVE the Finger Lakes.) After a few missteps on my part (it is hard to judge someone’s taste buds), they have ended up enjoying a glass or two of NJ wines. Especially the 2008 Pinot Grigio from Bellview Winery. 2. “Let’s just go down the list” can be dangerous words. 3. Talk to the owners, you’ll learn more that way. Two of my favorite moments happened at Ventimiglia Vineyards and Sylvin Farms. At Ventimiglia, we were waiting in the tasting room, when suddenly the owner burst through the door and took us on an impromptu tour of the winemaking room. At the same time, he was showing a couple from Indiana, who are interested in opening their own winery, the finer points of winemaking and telling his own story of how he had been making wine for over 20 years but only began selling it within the last five. At Sylvin Farms, we met Frank Sylvin. When asked how he got into winemaking, his response was: “Madness, really.” Needless to say, this was one of our favorite wineries. Talking to the owners and the winemakers can only enhance your experience and make the wine taste all the better. We also received great tours at Amalthea Cellars, Four JGs and Alba, three wineries where the tour is worth taking. 4. If you have never heard of it, try it. Dandelion wine from Bellview, nectarine wine from Cedarvale Winery, kiwi and strawberry wine from Swansea Vineyards, banana wine from Natali. When you go to several wineries in a short time period, the Chardonnays, Merlots, and Syrahs all blend together. If you’re in NJ, then the blueberry wine will certainly run together. (Practically every NJ winery has one.) This is why when a winery offers something you haven’t heard of, try it. Don’t be afraid of something new. You might end up enjoying it, like I did with the kiwi wine. No two wineries are alike. Some are extravagant expanses complete with restaurants, museums, golf courses, and hotels like Laurita Winery or Renault Winery. Others are converted farms or barns like Westfall, Unionville and Alba. Wagonhouse Winery can be found at Grasso Girls Farm Market. And what do you do when there is no tasting room? You head to local wine festival to taste the wines from Chestnut Run Farms and DiBello Winery. 6. Complimentary wines glasses are a great perk. After you have driven for miles and just paid anywhere from $5 to $7 for a tasting, receiving a complimentary wine glass can make your day. The more wineries you go to, the bigger, better or more comical your collection will become. Sure it will be mismatched but each wine glass tells a good story. If you complete the New Jersey wine trail, you will receive a grand total of 14 complimentary wine glasses. This could very well be the undeclared motto for NJ wineries. 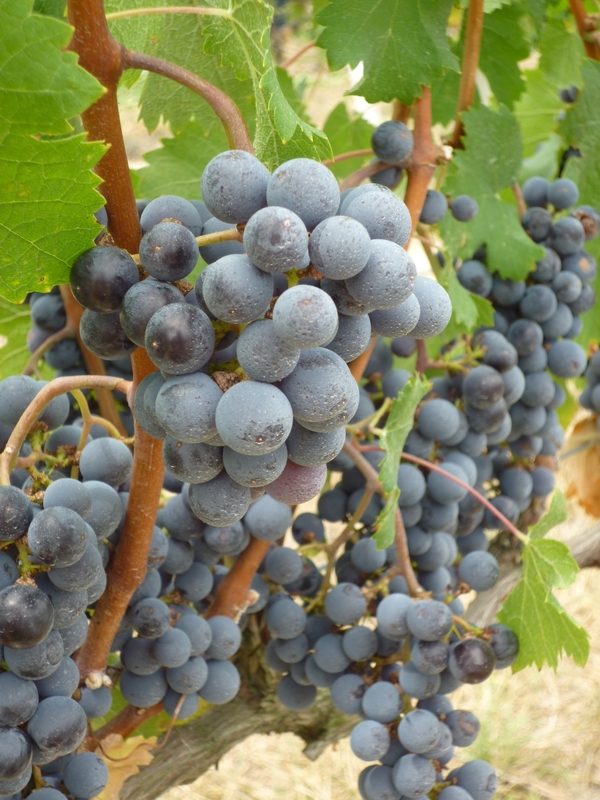 Until recently, the only NJ wine sold in California was blueberry wine. Slowly wine production in the Garden State is gaining momentum and is making its way across the country. But who cares about whether or not those wine snobs in California will enjoy a glass of white merlot from Hopewell Valley Vineyards. What is more important is that if you support the local wine industry in whatever state you live in, you are supporting local agriculture and therefore reducing your carbon footprint. For this reason, maybe we should be grateful then that NJ wines are not big sellers in other states. 8. Wineries that card? Let me break it down for you. I understand that carding is the law and a way of life. However, I do not understand why certain wineries felt to the need to card us. Yes, I am only 22 so I should expect it. But what underage fool is going to the local winery to get trashed? None of them. Carding only happened two or three times on our travels. The thing that was incredibly irritating however that stemmed from us getting carded these few times was the assumption that because of our age, we therefore knew nothing about wine tastings. 9. No matter where you are in NJ, you will always hear Bruce Springsteen playing on the radio. Some days we drove two or three hours to get to certain wineries. When we went to the six wineries located in the Cape May area – Renault, Sylvin, Cape May Winery, Hawk Haven Vineyard, Natali Vineyards and Turdo Vineyards, it felt like we were driving forever on the glorious turnpike. (Probably because we were.) Then there was the day when we tackled four wineries in one day – Cedarvale, Amalthea Cellars, Auburn Road Vineyards and DiMatteo Vineyards. It was yet another arduous day of driving. This is why we learned about the power of Wawa (seriously, North Jersey, get on board with Wawa!) and of four musicians – Mumford and Sons, Tegan and Sara, Lady Gaga and Bruce Springsteen – to get us through these long rides on the Turnpike, Atlantic Highway Expressway, and Garden State Parkway. At least once per hour, no matter which radio station we were listening too, the Boss, New Jersey’s patron saint of all things musical, came on the radio. It didn’t matter which middle-of-no where town we were in, there was always Bruce. 10. Good company is key. If you are going to tackle any wine trail, you need to choose your companion wisely. I chose my best friend since middle school. (Or, rather she chose me. It was her idea after all.) We also occasionally invited some of our other friends along for the wine trips – the day we ventured to Valenzano, Tomasello, and Plagido’s. 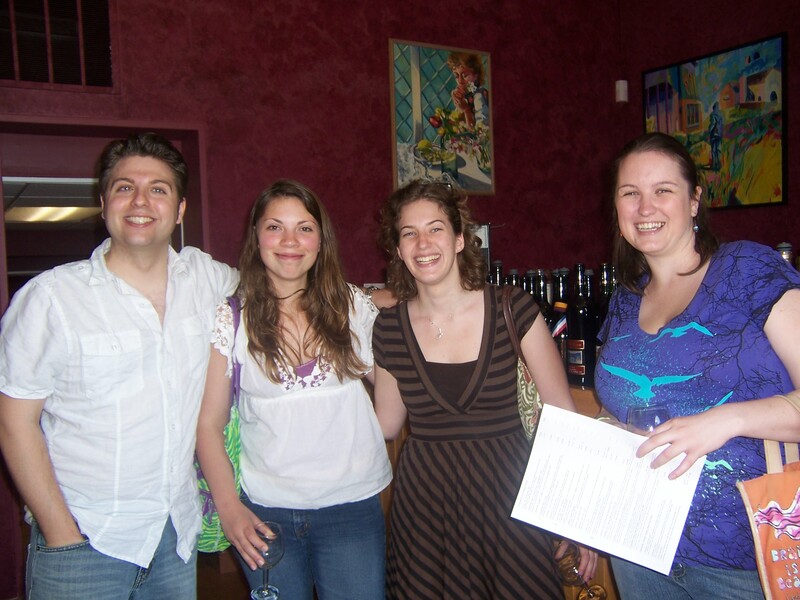 The person or people you go to wine tasting with can make or break the experience. I’d also recommend going with someone who enjoys different wine than you. For instance, I loathe Chardonnay. Heather loves it. I love Syrah. Heather loathes it. By teaming up, we can actually gain more from a tasting and try a greater variety of wines. Also, if you’re like me and you are not a fan of driving, you should be grateful to have a wine tasting partner who drives EVERYWHERE. Heather drove the entire time while I fiddled with the radio. (Maybe that is why we listened to so much Bruce Springsteen…) Regardless, I am appreciative of Heather’s car and her willingness to drive. Going on a wine trail is a great way to spend your summer days and even better way to gain new appreciation for your home state and the company of your best friend. Try it some time. You don’t need to go to 33 in one summer. States like Delaware only have one winery! You won’t regret it. I’m impressed that you tried all 33 wineries. That must have been a fun experience. Did you get headaches from any of the wines? Which wineries were your favorites and why? Were there any that you didn’t like? I had the opportunity a few years back to go to one of those NJ wine grower events where all the wineries get together in one place. For the most part, I was disappointed. However, I did buy the Asian Pear Wine as well which I enjoyed at the time. 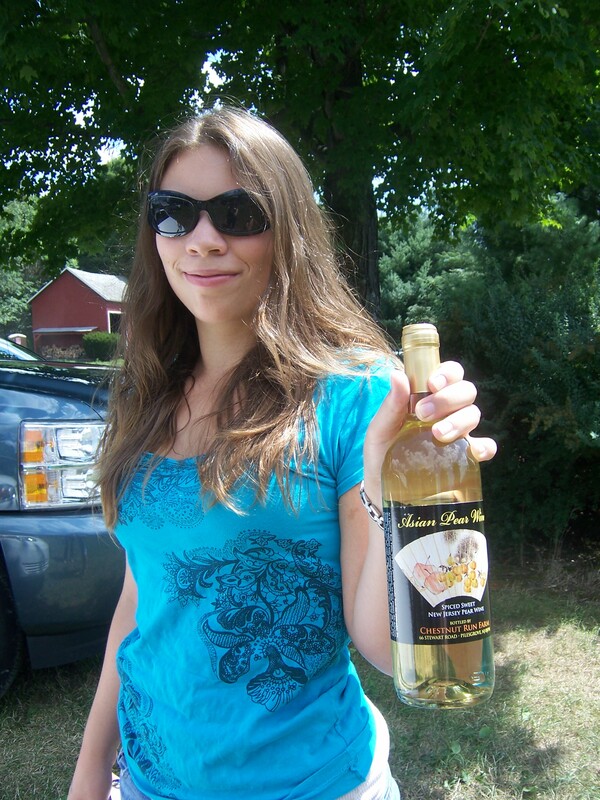 Since trying the wineries at that event, I’ve been reluctant to go to any of the NJ wineries. I have also been to the Finger Lakes a few times and I notice that my pallet is changing substantially and I do not enjoy their wines as much as I used to. I prefer Russian River Valley and German wines. To put this in perspective as I think you mentioned you are 22, I am not far off at 26. (I am not sure if pallets change during that time). Anyway, I would appreciate any more information that you can provide on NJ wine. Hello! So… I think you should give NJ wines another chance. I find wine growers events to be a really bad way to be introduced to a wine region. I went to wine festival in Kentucky and honestly could not tell you one thing about Kentucky wine. But when I went to winery in Indiana, I got a real sense of the wine to expect from that region. That being said, my favorite NJ wineries are probably Valenzano, Hopewell, Ventimiglia, Westfall, Amalthea and Alba. I recommend doing one of the wine trails in either the Cape May area or in the Hammonton area. The NJ wine growers association website (www.newjerseywines.com) has a list of all the possible wine trails. If you do go, make sure there isn’t a special event that same weekend! One thing I have noticed in the two years since I did this is that NJ wines have become increasingly popular and the wineries get crazy packed during special events. In the two years since I did this (I’m 24 now) my pallet has definitely changed. I don’t enjoy sweet, fruit wines anymore. I prefer dry whites to dry reds. And I expect my pallet to continue to change. I’m starting to explore the New York wines more these days. Hope this helps! Thanks for reading! Sorry, I just realized that you posted this in 2010. Which means that you are older now. Has your opinion of any of the NJ wines changed in that time? Previous Previous post: Happy 90210 Day!